Is it time to disestablish the Church of England ? For much of the last century, every adjustment in the relationship between the state and the established Church of England has been resisted on the basis that it ‘raises the question of disestablishment’. 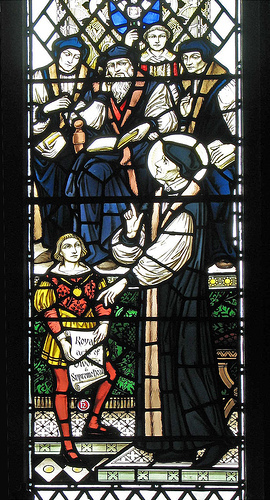 There have of course been tinkerings and modifications: on the process of Crown appointments; attempts at removing the bishops from the House of Lords; and the Worship and Doctrine Measure of 1974 which gave the Church the power to settle most of the most important things about its own life and worship. Perhaps the establishment of the CofE is one of its intrinsic mysteries; the genius of Anglicanism which remains opaque even to its initiates, and which (like that other fabled beast the British Constitution), seems to work well even if no-one quite knows how. But recent events show more clearly than ever before just how precarious establishment is, and how contingent on other things which seem less solid. There was always an implicit bargain involved in the survival of establishment. On the Church’s side, it offered some advantages. In the parishes, hatching, matching and despatching kept open occasions for pastoral contact with parishioners who never otherwise entered the building, even if opinions differ on how real or important much of this was. The royal set-piece occasions remained symbolic demonstrations of the historic reality of the place of Christianity in national life. And the place of the bishops in the Lords was taken very seriously by those bishops, even if their consciousness of their role shifted, first towards being representatives of the other Christian churches, and then of all faiths. After the mid-sixties, and particularly after 1974, the burdens of establishment in practical terms were light, once Parliament had denied itself the right in practice to interfere in the internal running of the Church, even if sometimes it still had to wave necessary legislation through. And so an equilibrium has held since then: the Church didn’t much bother the state in practical terms; the Church bore some mild inconvenience in return for some advantages; and the sheer effort and parliamentary time involved in disestablishment deterred any serious consideration of it. More recent events have upset this delicate balance. Rural clergy of my acquaintance still place considerable value on the Church’s role as registrar-delegate on behalf of the state in the matter of the rites of passage; but that advantage in urban areas is surely now almost null. As for the role of the bishops in the House of Lords, some still set some store by it, but as a burden rather than a privilege. If any government were actually to set to the task of removing them, I doubt it would be resisted too hard. And so, although hard data for analysis is in short supply, the cost-benefit calculus of establishment for the Church looks less and less favourable, and is increasingly seen to be so. Both of these changes would be a loss, but a minor one, and easily accommodated. Two recent developments take things closer to home. Firstly there is the issue of gay marriage. Several faith groups hold that marriage is necessarily, indeed ontologically only possible between man and woman. However, for all but one of these groups (those that are not established) the redefining of civil marriage by the state need not cause any internal difficulty, other than the loss of the right for their own religious solemnisation of marriage to contain the civil component. For the Church of England, I see no possible way that its own religious definition of marriage as exclusively heterosexual could survive an enforcement by the state of such a redefinition of marriage in civil terms. The role of registrar-delegate would have to be relinquished, leaving marriage in the Church of England the same (in law) as by the rites of the Methodists or in synagogue or mosque. This may (or may not) be possible without upsetting some other part of the delicate ecology of establishment. I don’t see the exemption of the Church of England from the current legislation as durable for any length of time. Similarly, if the General Synod votes again against the consecration of women as bishops, then the sort of attempt (suggested by some) by Parliament to force the issue in relation to the bishops in the Lords would provoke a similar crisis. This is not to mention any attempt to apply the existing employment equality legislation to the issue, if the Church (as discharger of some functions on behalf of the state) discriminates on the grounds of gender. Had either issue come to the surface twenty years ago, things would have been quite different. But in the last few years, I think that the climate of opinion has changed, on both sides. There has been a considerable upsurge in secularist sentiment, whether as applied to the House of Lords, or faith schools, or the law on blasphemy, or the visit of the Pope to the UK in 2010. And so the public mood would seem to the most supportive it has been for decades for an attempt at a renegotiation. And at the same time, there may be more appetite within the Church for such an attempt as well. The point is often made that the Church of England is a church, not a sect. But a church can only be church in this comprehensive national sense if the nation on whose behalf it is supposed to exist recognises it. Not everyone, or even the majority, need ever make direct use of it, but it needs to be regarded as something other than a private religious society (that is, a sect), and that has some set of obligations to the whole nation. Becoming a sect need not jeopardise the Church’s mission; but it would need to recognise that that mission is no longer shaped as it was when establishment made sense. And more and more Anglicans are I think coming to recognise that it no longer does. There have for decades been voices who have thought that establishment meant being part of The Establishment, of being too close to secular power and all its moral difficulties; and that the prophetic edge of the Church’s mission, to speak truth to power, was thereby compromised. I think these voices are now coming to represent a more and more mainstream view. It would be brave to predict the actual disestablishment of the Church of England, and I’m not about to. However, I do think that the state of opinion, both within and outside the Church, are more favourable than they have been for decades. If a government had the appetite for the job of disestablishment, now would be the time to attempt it.